Social networking tools such as Facebook, Twitter, YouTube and blogs have forever changed how people communicate and how they organize for social and political change. 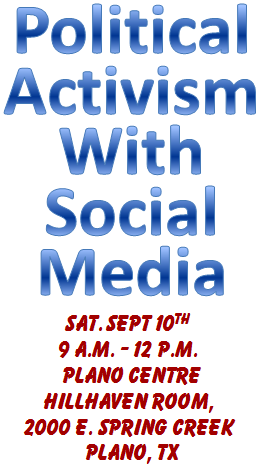 21st century political candidates and community organizers have swapped yard signs for social media. With Facebook, YouTube, Twitter and other new media tools, the traditional relationship between political authority, the main stream news media and "we the people" has been upended, making it easier for "we the people" to collaborate, coordinate, and have a voice in the politics that affect the life of ourselves and our families. 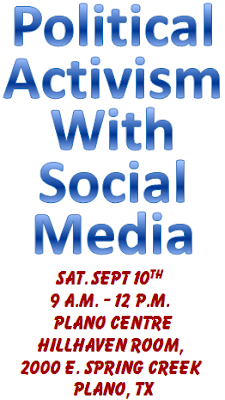 To hear more about how social media engagement has become a critically important strategy for political candidates and community organizing come to the Social Media Day cosponsored by the Texas Democratic Women of Collin County and the Democratic Blog for News. Suggested Donation of $5 to the TDWCC – pay at the door. 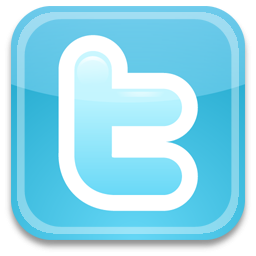 Campaigns and Elections: Apps and video will move mobile forward for campaigns in 2012. For campaigns looking to make their mark with mobile in 2012, it’s no longer just about text. Many online strategists expect SMS to actually take a backseat next year as the presidential cycle ushers in a new world of mobile apps and an expanded use of video. The reason is simple: Smartphone use has grown exponentially over the past two years, making this coming election cycle the one in which mobile use by campaigns should explode. In December of 2008, just 14 percent of wireless customers in the U.S. were using smartphones. Now, according to the latest numbers from the Pew Internet and American Life Project, more than a third of all Americans are using smartphones. Pew Research Center: The pace with which users have flocked to social networking sites has been staggering; in a first survey about social networking sites in February 2005, just 8% of internet users -- or 5% of all adults -- said they used them. 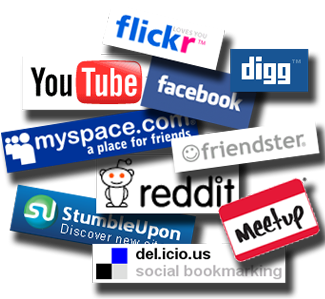 Now, a new survey by Pew internet & American Life Project finds that 65% say they use a social networking site like MySpace, Facebook or LinkedIn, up from 61% one year ago. Only email and search engines are used more frequently than social networking tools. That's more than double the percentage that reported social networking site usage in 2008 (29%). And for the first time in Pew Internet surveys, it means that more than half of all adults (51%) use social networking sites. Among internet users, social networking sites are most popular with women, young adults under age 30, and parents. Young adult women ages 18-29 are the power users of social networking; fully 89% of those who are online use the sites overall and 69% do so on an average day. As of May 2011, there are no significant differences in use of social networking sites based on race and ethnicity, household income, education level, or whether the internet user lives in an urban, suburban, or rural environment. See the full report for a more detailed analysis of how Americans use social networking sites at pewinternet.org. A new report by the investigative website Pro Publica publicizes that Congress diverted $30 billion in bailout money allocated to help struggling homeowners prevent foreclosure in order to pay down the national debt instead. Of the $45.6 billion in Trouble Asset Relief Program funds meant to aid homeowners, the most recent numbers available show that only about $2 billion has actually gone out the door. The low number reflects how little the government’s home loan modification and other programs have actually helped homeowners deal with the foreclosure crisis. Read the full report @ Pro Publica. To keep Social Security strong for another 75 years, Sanders’ legislation would apply the same payroll tax already paid by more than nine out of 10 Americans to those with incomes over $250,000 a year. 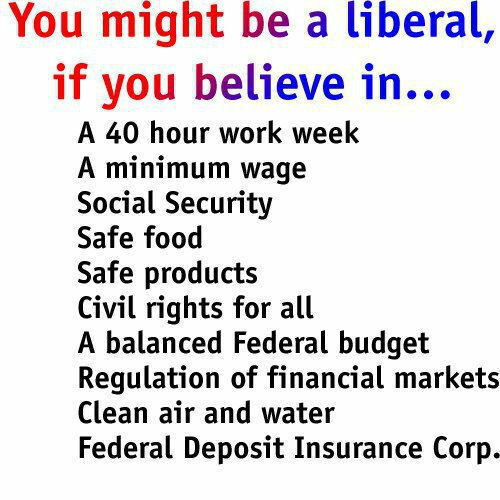 [...] Under Sanders’ legislation, Social Security benefits would be untouched. The system would be fully funded by making the wealthiest Americans pay the same payroll tax already assessed on those with incomes up to $106,800 a year. Last week, Sen. Bernie Sanders (I-VT) was a featured speaker at the United Steel Workers 2011 conference in Las Vegas. Sanders focused much of his speech on the Social Security system, blasting suggestions by Democrats and Republicans alike that, for example, we should adjust the cost of living adjustment to cut Social Security payments to working class Americans or raise the retirement age. “When [Social Security] was developed, 50 percent of seniors lived in poverty. Sanders points out that President Obama himself endorsed this idea on the campaign trail in 2008. “What we need to do is to raise the cap on the payroll tax so that wealthy individuals are paying a little bit more into the system. Right now, somebody like Warren Buffet pays a fraction of 1 percent of his income in payroll tax, whereas the majority…pays payroll tax on 100 percent of their income. I’ve said that was not fair,” said Obama during the campaign. The Social Security system is currently fully funded until 2037. Lifting the payroll tax cap would virtually eliminate funding shortfalls the program would experience over the next 75 years. The expected arrival of the nearly 600-mile-wide Hurricane Irene this weekend means that states of emergency have been declared along the length of the eastern seaboard. Dangerous Irene is an usually wet and large hurricane in its overall size with tropical storm force winds extending out nearly 300 miles from the center. Climate scientists studying hurricanes have documented a 35-year warming trend of 1 degree Fahrenheit in ocean surface temperature. That 1 degree rise in surface temperature increases atmospheric water vapor available to feed hurricanes, increasing the area of tropical storm force winds and total rainfall amounts. Depending on numerous factors, it could take New York City “weeks or months” to return to normal if the densely-populated city suffers a direct hit from Hurricane Irene. Apart from the potential loss of life in the most densely populated part of the America, history suggests that the economic damage could run into the tens of billions of dollars, depending on the severity of the storm and how close it comes to the City of New York. Unlikely but theoretically plausible scenarios could have the damage entering the realm of the costliest natural disasters of all time, and perhaps being large enough to have a materially negative effect on the nation’s gross domestic product. The storm is poised to hit New York at a time when high tides reach their highest levels, which could amplify flooding in the city built around bays and rivers. Some experts predict a storm surge of five feet or more. Lower Manhattan could see streets under a few feet of water. "In many ways, a Category 2 or stronger storm hitting New York is a lot of people's nightmare, for a number of reasons," said Susan Cutter, director of the Hazards and Vulnerability Research Institute at the University of South Carolina. Even if the winds aren't strong enough to damage buildings made largely of brick, concrete and steel, a lot of New York's subway system and power lines are underground. The city's airports are close to the water, too, and could be inundated, as could densely packed neighborhoods. Hospitals were told to make sure generators were ready. MORRIS: If you dive into the weeds a little bit on this global warming thing, you see that it seems that facts are certainly on Huntsman’s side on all of this and fact checkers have come out, we’re actually having our own brain room look look at this right now that any of Perry’s comments don’t seem to hold a lot of water. It doesn’t matter. What’s resonating right now in South Carolina is helping Governor Perry tremendously and he fired back at Huntsman on global warming and gaining traction, facts or not. Americans care deeply about energy, weather disasters, food prices, clean air, and a safe future for their children. Maybe if Clayton Morris and his Fox News colleagues decided that facts should matter, they’d be able to rally Americans to fight global warming pollution before it’s too late. Skepticism and outright denial of climate changing global warming are among the articles of faith of the Tea Party movement across the country. To a large extent, of course, those articles of faith were intentionally fostered by the constant bombardment of anti-science propaganda from Fox News and other right-wing media. For some, the denial of scientific facts are a matter of religious conviction; for others, it is driven by distrust of those they call the elites. And for others still, efforts to address climate change are seen as a conspiracy to impose world government and a sweeping redistribution of wealth. As Irene takes aim on the Eastern Seaboard toward New York City, the mainstream news media should ask: what’s a “tropical” storm doing heading for the snow belt? Category 3 Storms have rarely hit Long Island since the 1800s; one was the great unnamed storm of 1938, which sent 15-foot storm waters surging through what are now multimillion-dollar seaside homes. Normally, says Jeff Masters of Weather Underground, it’s “difficult for a major Category 3 or stronger hurricane crossing north of North Carolina to maintain that intensity, because wind shear rapidly increases and ocean temperatures plunge below the 26°C (79°F) level that can support a hurricane.” The high-altitude wind shear may help knock the storm down a little this year, but the ocean temperatures won’t. They’re bizarrely high—only last year did we ever record hotter water. Remember—this year has already seen more billion-dollar weather-related disasters than any year in U.S. history. Last year was the warmest ever recorded on planet Earth. Arctic sea ice is near all-time record lows. Record floods from Pakistan to Queensland to the Mississippi basin; record drought from the steppes of Russia to the plains of Texas. Just about the only trauma we haven’t had are hurricanes plowing into the U.S., but that’s just luck—last year was a big storm year, but they all veered out to sea. This year we’re already on letter I—which in a normal year we don’t get to until well into October. Every kind of natural system is amped up, holding more power—about ¾ of a watt extra energy per square meter of the Earth’s surface, thanks to the carbon we’ve poured into the atmosphere. This is what climate change looks like in its early stages. Pew Research Center: The public is profoundly discontented with conditions in the country, its government, political leadership and several of its major institutions. Fully 79% are dissatisfied with the way things are going in the country. Even more (86%) say they are frustrated or angry with the federal government. Favorable ratings for both political parties are in negative territory and have declined since the beginning of the year. Just 22% approve of the job performance of Republican congressional leaders, down from 36% in February. Ratings for Democratic leaders are only somewhat better (29% approve). More generally, the Republican Party's favorable rating has declined from 43% in early February to 34% currently. At 43%, the Democratic Party is viewed more favorably than the GOP, but it too was rated a bit better earlier in the year (47% in February). The latest national survey by the Pew Research Center for the People & the Press, conducted Aug. 17-21 among 1,509 adults, finds that Barack Obama's job approval rating has declined markedly since the killing of Osama bin Laden in early May. For the first time in his presidency, significantly more disapprove than approve of the way Obama is handling his job as president (49% vs. 43%), and the margin of strong disapproval over strong approval has widened; currently, 38% strongly disapprove of Obama's job performance while 26% strongly approve. Fewer Democrats and independents now view Obama as a strong leader than did so in May (down 10 points, eight points, respectively). Democrats also want Obama to get tougher in his dealings with congressional Republicans. Currently, 57% of Democrats say Obama should challenge the Republicans more often, while 32% say he is handling relations with the GOP about right. In early April, just 39% of Democrats said Obama should do more to challenge Republicans and 47% said he was handling things about right. The better news for Obama is that he continues to be seen by majorities as someone who stands up for what he believes in (71%), as caring (63%) and trustworthy (59%). Moreover, his 43% job approval rating, while much lower than his rating just a few months ago, is relatively strong given the widespread dissatisfaction with national conditions, increasingly negative views of the economy, and broad distrust of government. And Obama’s approval rating continues to be much higher than those for congressional leaders of both parties. Obama continues to run even in a 2012 match up against a generic Republican presidential candidate. Currently, 43% of registered voters say they would like to see Obama reelected while 40% would prefer a Republican. That is little changed from a month ago (41% Obama, 40% Republican), but in May Obama held an 11-point lead in the generic ballot. Voters remain unimpressed by the GOP field. As was the case in late May, prior to the Ames straw poll and Rick Perry’s entry into the presidential race, only about a quarter of voters (26%) say they have an excellent or good impression of the possible GOP candidates. Most (64%) say as a group the candidates are only fair or poor. Pew Research Center August 23, 2011: Americans focused most closely last week on news about the nation’s troubled economy amid concerns about the stalled recovery and fears of a possible new recession. About four-in-ten (42%) say they followed reports about the condition of the U.S. economy more closely than any other news. That is three times the number saying their top story was news about the candidates for the 2012 presidential election (14%), according to the latest weekly News Interest Index survey, conducted Aug. 18-21 among 1,007 adults by the Pew Research Center for the People & the Press. Economic news topped coverage as well, accounting for a quarter of the newshole (25%), according to a separate analysis by the Pew Research Center’s Project for Excellence in Journalism (PEJ). News about the 2012 elections made up 13% of all news coverage. Economic story lines top the public’s news interest. 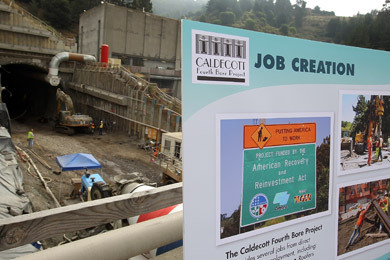 At the same time, the debate over what the federal government can or should do to help the economy has become a key issue in the 2012 race for the White House. More than four-in-ten (44%) say they followed news about the economy very closely last week, approaching the year’s high of 49%, while 42% say this was the news they followed most closely. Another 12% say they very closely followed news about the debate among European leaders over how to address the region’s debt crisis. This was the top story for 4% and accounted for 3% of coverage. More than a quarter (27%) say they very closely followed news about candidates for the 2012 presidential elections, up from 19% the previous week and a high point for the year so far. With Texas Gov. Rick Perry stepping up his campaign for the GOP nomination and President Obama making a campaign-style bus trip, election news made up 13% of coverage, which was little changed from 15% the previous week, when Michele Bachmann won the Republican straw poll in Iowa and Perry officially entered the race. Coverage and interest have both increased since early August. And, as the economic news has worsened, the GOP contenders have focused their criticism on Obama’s efforts to improve the situation. Perry made news last week with blunt criticism of Federal Reserve Chairman Ben S. Bernanke. There are no partisan differences in attention to news about the economy with 48% of Republicans, 45% of Democrats and 47% of independents saying they followed economic news very closely. Republicans and Democrats also express similar interest in news about the 2012 elections: 36% of Republicans and 30% of Democrats followed this news very closely. Just more than two-in-ten independents (22%) say the same. Having only entered the race last week, Texas Gov. Rick Perry (R) has already jumped to the top of the GOP presidential field. Fueling his momentum is the so-called “Texas miracle” — the myth that Perry’s governorship has led Texas to weather the recession better than other states, maintaining a healthy economy and brisk job creation. According a the video produced by Think Progress, these claims are often built on incomplete analysis, or by cherry picking statistics while overlooking other relevant factors that fill in the full picture, which is a much more mixed and middling economic performance than he and his supporters would like you to believe. Making unsubstantiated allegations against thousands of climate scientists, many in his own state of Texas, Gov. Rick Perry (R-TX) claims that climate science is a “contrived phony mess” based on “so-called science” in a “secular carbon cult.” Speaking at a Politics and Eggs breakfast in Bedford, New Hampshire Wednesday August 17, 2012 Gov. Perry further said, “There are a substantial number of scientists who have manipulated data..."
In contrast to Perry's unsubstantiated allegations, three major UK investigations previously exonerated the so called "Climate-Gate" scientists of any wrongdoing. Pennsylvania State University also conducted its own investigation of "Climate-Gate" allegations against its own climatologist Michael Mann and dismissed them lacking any substance of fact. Now, this week, the National Science Foundation has closed its investigation into Penn State climatologist Michael Mann after finding no evidence of scientific misconduct related to his research. No direct evidence has been presented that indicates the subject fabricated the raw data he used for his research or falsified his results. Climate Daily: It is the latest in a string of investigations to exonerate scientists involved in the so-called "Climategate" email scandal. Mann was a central figure in the fracas, where a sampling of correspondence from climate scientists purloined from a computer server at the University of East Anglia in Britain supposedly showed climate scientists colluding to fabricate data and smear critics. But a successive series of investigations and inquiries since the emails were released in 2009 have exonerated the scientists. The final conclusion from the NSF's Office of Inspector General is no different [PDF; enter Case No. A09120086]. "No direct evidence has been presented that indicates the subject fabricated the raw data he used for his research or falsified his results," the report concludes. HuffPo: Texas students and teachers went back to school Monday, 10 days after the man they cite as the cause of their schools' funding-related woes announced he was running for president. According to algebra and physics teacher Patrick Frasier, Gov. Rick Perry's (R) school budget cuts led to massive back-to-school confusion. In fact, until recently, Frasier wasn't even sure he could return to class this school year. 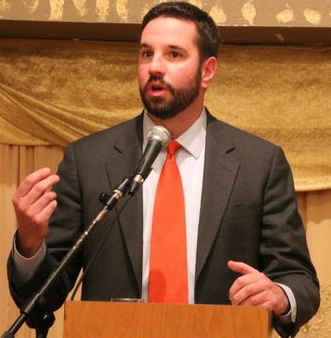 "All first-year teachers in my district were cut no matter what," he said. The bulk of them were hired back, but not before they polished their resumes. "We had no idea until the very end what was really going to happen," Frasier said. Frasier said he switched from majoring in engineering to teaching at the University of Texas because he felt education was important work. He now teaches in San Antonio's Northside Independent School District. He went back to class Monday and immediately noticed changes. Overall, he had 30 more students spread between his six classes than he had the year before. "There's been a lot of talk about how this is the new normal," he said, referring to Perry's statements on school funding. "We're told we should get used to constant budget cuts." Education observers worry that the massive funding cuts coming out of the most recent legislative session leave Texas schools at the top of a steep precipice. Under Perry's veto threat, the legislature chose not to pay for student enrollment growth, instead underfunding education by $5.5 billion -- despite access to the $9.4 billion in the state's reserve fund. Today Austin’s temps will soar back into the 100′s for our 69th day this year of over 100 degrees. This will break a record that has stood since 1925 for the most days over 100 degrees, as we begin another round of heat advisories lasting through the weekend of 100+ degree weather. Since we’re going to not just be breaking the record, but adding several more days onto it (to a total of at least 73 or 74- assuming this is the last hot pattern we have in the next month), we may want to ask ourselves what is going on? Well, we are faced with a La Nina weather pattern, bringing hot, dry weather to the Lonestar state. La Ninas have happened before and they’ll happen again- as evidence by the 86 year old record of 68 days of 100+ heat. For it to be hot in Texas in the summer is normal, but it’s not normal for it to be this hot for this many days. Which brings us to climate change. Scientists theorizing about climate change decades ago predicted exactly what we are seeing now: slight upticks in temperature giving us more slightly hotter days. So, a day that would normally be 98 or 99 is now 101 or 102 due to the radiative blanket of the greenhouse gases in our atmosphere. Democracy for America has joined with Van Jones' new American Dream organization to promote nationwide community organizing activities -- at town halls, at their district offices, everywhere -- starting with a "Contract for the American Dream." As Netroots Nation 2011 keynote speaker last June Jones delivered fiery speech where he said of the politics of the hard right, “I’ve had all I can stand! I can't stands no more!” - invoking the old “Popeye” cartoons . Listen to NPR's All Things Considered segment on former Obama Adviser Van Jones "Brews A Different Tea Party"
Jones envisions the new American Dream movement as a left-wing alternative to the Tea Party. Launched at a July 23 event in New York City, the American Dream Movement aims to restore the fight for economic justice to the center of progressive politics. Texas Governor-turned-Presidential candidate Rick Perry is already fed up with his controversial political book "Fed Up " published just last November. Fed Up is a 240-page argument for ten amendment states' rights, which argues that everything from child labor laws to the Clean Air Act to Medicare violates the Constitution and states' rights. As it turns out, the many outlandish ideas Perry argues in his book are unpopular with a large portion of voters — so Perry’s campaign is trying to say Perry doesn't really believe the augments he wrote in his book. MySanAntonio.com: Few phenomena are more depressing than watching the national media ramp up to speed on a subject with which you are somewhat familiar. The shotgun vetting of Texas Gov. 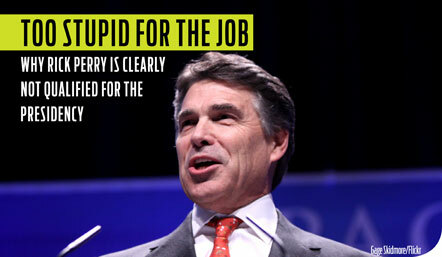 Rick Perry fits that bill. “That’s so baloney,” Bloch said. “Rich people don’t create jobs. Companies create jobs.”…”You probably pay a higher rate than I do… and yet my income is probably many times what yours is,” Bloch said to FOX 4 Reporter Rob Low. Several Republicans have scoffed at Buffet’s proposal, including the multimillionaire Mitt Romney and billionaires Charles and David Koch. Like so many Republican officials of the Tea Party persuasion, Rick Perry despises the Environmental Protection Agency. A feeling he has expressed repeatedly in speeches, lawsuits, legislation and even a book titled Fed Up! Perhaps that is only natural for the governor of Texas, a “dirty energy” state where the protection of air, water, and human health rank well below the defense of oil company profits for most politicians. The outstanding example is Harold Simmons, a Dallas mega-billionaire industrialist who has donated well over a million dollars to Perry’s campaign committees recently. With Perry’s eager assistance – and despite warnings from Texas environmental officials -- Simmons has gotten approval to build an enormous radioactive waste dump over a crucial underground water supply. Two years ago, John McHale, an entrepreneur from Austin, Tex., who has given millions of dollars to Democratic candidates and causes, did something very unusual for him: he wrote a $50,000 check to a Republican candidate, Rick Perry, then seeking a third full term as governor of Texas. In September 2010, he did it again, catapulting himself into the top ranks of Mr. Perry’s donors. Including, it turned out, for Mr. McHale’s business interests and partners. In May 2010 an economic development fund administered by the governor’s office handed $3 million to G-Con, a pharmaceutical start-up that Mr. McHale helped get off the ground. At least two other executives with connections to the firm had also given Mr. Perry tens of thousands of dollars. Anthony Mason's one-on-one interview with President Obama during his 3-day bus tour of the American heartland last week. Pres. Obama tells CBS in an interview broadcast Sunday that he's "impacted," just like Congress, when people aren't happy with Washington. Job approval opinion polls last week showed Pres. Obama's job approval rating at or below 40 percent, the lowest of his presidency. Pres. Obama taped the CBS' `Sunday Morning" interview last Wednesday in Illinois at the end of a Midwest bus tour focused on the economy. There is broad public consensus that the budget negotiations of recent months can be summed up in words such as ridiculous, disgusting, stupid, and frustrating. Nationwide, 72% describe the recent negotiations in negative terms such as these; while very few offer a positive (2%), or even neutral (11%), assessment. Other frequently used terms include terrible, disappointing, childish, and joke. A recent survey by the Pew Research Center for the People & the Press and The Washington Post found that these critical views cross partisan and ideological lines, with 75% of Republicans, 72% of Democrats and 72% of independents all volunteering similarly negative assessments. Impressions are particularly negative among Republicans and Republican-leaners who agree with the Tea Party (83% negative). Long before Rick Perry made his presidential aspirations official, the Texas governor was using Twitter and other Internet new media channels to create his "Texas Miracle" mythology. It seems to be working as the Main Stream Media uncritically memes Perry's "Texas miracle" economic claims," even as it's clear that everything from how Texas is doing to whether or not Perry should be associated with that performance are highly debatable claims. "Now that conservative TX Gov Rick Perry has officially launched his Presidential campaign, it is important to remember the lasting legacy he will leave for Texas. After 25 years in public office and 10 years as the Governor, Perry has dramatically changed what Texas looks like for future generations." Rick Perry has many ideas about how to change the American government's founding document. From ending lifetime tenure for federal judges to completely scrapping two whole amendments, the Constitution would see a major overhaul if the Texas governor and Republican presidential candidate had his druthers. Perry laid out these proposed innovations to the founding document in his book, Fed Up! Our Fight to Save America from Washington. He has occasionally mentioned them on the campaign trail. Several of his ideas fall within the realm of mainstream conservative thinking today, but, as you will see, there are also a few surprises. As Gov. Rick Perry touts job creation and limited government on the campaign trail, the Texas’ unemployment rate tied a 1987 record in July and the Austin-area took the brunt of the state’s job losses in the public sector, according to the Texas Workforce Commission's latest workforce statistics report. The Texas rate is still lower than the country’s, which was 9.1 percent in July. But that gap is closing. Sources: St. Louis Fed (U.S. jobs/U.S. unemployed). Americans are hearing a cacophony of arguments about the wobbly economy. The federal stimulus package passed in 2009 was either a deficit-busting failure full of wasteful projects or an unparalleled rescue that would have been more successful if it had only been bigger. Taxes are either stifling or the lowest they've ever been. America needs to invest in infrastructure, or "infrastructure" is merely a euphemism for more government spending. ProPublica published a guide to the most prevalent economic myths. 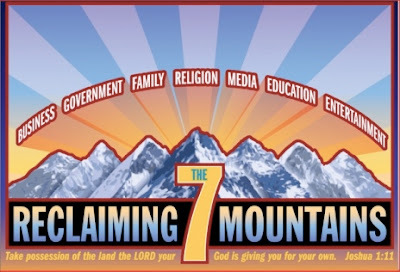 The American Family Association, one of the co-sponsors of Rick Perry's "The Response" prayer event, sent an email message to the 30,000 event attendees as the next step of community organizing to register and mobilize 5 million conservative Christians for the 2012 election. One of the key motivations for holding community organizing event is to collect contact information from the people who attend the event so that a regular line of communication can be opened to further organize and mobilize them. About 30,000 people attended "The Response" prayer event at Reliant Stadium in Houston in early August 2011. The Response: A Call to Prayer for a Nation in Crisis, which Gov. Rick Perry promoted and which looked a lot like charismatic, evangelical church service, was a well planned and well executed community organizing event that collected a lot email addresses and no doubt a lot of cell phone numbers to text. These days, there are myriad problems that affect, and sometimes frighten us. As individuals we often feel powerless to address the things that affect our our lives and our families. We often feel powerless to make changes, feeling stuck and often hopeless. We don’t think that we have the power to make a difference. Community organizing is a process that empowers people to recognize and honor their individual and collective voices by working together to transform their communities. Background On Rick Perry's Claim "The Earth Is Cooling"
It would be nice if the myth of global cooling was a fringe theory among even a few legitimate climate scientists. Unfortunately, it's not! DemocracyNow.org - This is a summary of news headlines from the United States and around the world as reported by Democracy Now! on Thursday, August 18, 2011. Tea Partiers ... seek “deeply religious” elected officials, approve of religious leaders’ engaging in politics and want religion brought into political debates. ...The Tea Party’s generals may say their overriding concern is a smaller government, but not their rank and file, who are more concerned about putting God in government. This inclination among the Tea Party faithful to mix religion and politics explains their support for Representative Michele Bachmann of Minnesota and Gov. Rick Perry of Texas. ...It is precisely this infusion of religion into politics that most Americans increasingly oppose. While over the last five years Americans have become slightly more conservative economically, they have swung even further in opposition to mingling religion and politics. So, the Tea Party "movement" is now officially less popular among Americans than Muslims. 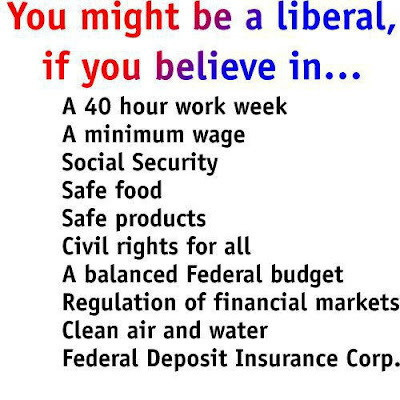 Ultra-right social conservatives often accuse "liberals" of undermining the Christian nation values. But leading conservative strategist Karl Rove called the notion that the U.S. is a Christian nation “offensive” during a Fox News interview. “We are based on the Judeo-Christian ethic, we derive a lot from it, but if you say we’re a Christian nation, what about the Jews, what about the Muslims, what about the non-believers? I mean, one of the great things about our country is that the first amendment gives you right to believe or not believe as you choose." Ezra Klein has an interesting piece up, from yesterday, arguing that the White House should take a page from the GOP playbook in pushing for actions on jobs. And Ezra is right, to a degree. The Republicans are ruthless and the President has been somewhat spineless. I think Ezra is incorrect, however, in arguing that Boehner wouldn't have resorted to a PR campaign to get his way. That's exactly what Republicans do. They grab a message, and beat it to death, again and again and again, until you're sick of it, but suddenly, one day the entire country is parroting the same message. Democrats, on the other hand, think that issuing a single press release [or sending a single email to an aging email address list] "is" a PR campaign. So, yes, the GOP does take hostages, and it does all the other high-stakes things needed to pass legislation in this town, but they don't forgo PR as some kind of unnecessary politesse. It's key to their campaign, and always has been (e.g., death panels, Obamacare, the stimulus didn't create any jobs, if the deficit isn't addressed today we're all going to die, etc.) The GOP is great at PR. Our leaders in power need to learn their game. Democracy Now: Since announcing his candidacy for the Republican presidential nomination over the weekend, Texas Gov. Rick Perry has already raised eyebrows over a number of heated comments. On Monday Perry accused Federal Reserve Chairman Ben Bernanke of treason and suggested he would face physical harm in Texas. His comments were widely criticized, from the White House to Republican key strategist Karl Rove. Perry has also drawn criticism for calling Social Security, Medicaid and Medicare "a Ponzi scheme." Perry’s record in Texas is also beginning to face increased scrutiny. He claims responsibility for the an "economic miracle" in Texas, but many have questioned the success of his economic policies. We look at Perry’s recent comments and his past with Bob Moser, executive editor of the American Prospect. Moser is the former editor of the Texas Observer, where he spent the last three years covering Perry. Gov. Rick Perry (R-TX), since he launched his presidential campaign on Saturday, has paraded around the stat that “since June of 2009, Texas is responsible for more than 40 percent of all of the new jobs created in America.” Gov. Perry says he wants conservative governance to do for America what it has done for Texas. All of the Republican presidential candidates tout no taxes and no government as good for America. So, what has conservative governance given Texas? Between 2008 and 2010, jobs actually grew at a faster pace in Massachusetts than in Texas. The unemployment rate in Texas has been steadily increasing throughout the recession, and went from 7.7 to 8.2 percent while the state was supposedly creating 40 percent of all the new jobs in the U.S. The Dallas Fort Worth Metroplex heat wave returned with vigor this week. The all-time record highest minimum temperature, set just last month, was tied again on the morning of Tuesday, August 16, 2011 when a low of 86 degrees was recorded. The overnight lows have been exceptionally warm during the past few weeks. The old record high minimum of 85 from 1939 was first exceeded on July 26th was a DFW low of 86. Overnight lows since July 26, 2011 have tied the new record 4 times, and the average low so far in August is 82.4 degrees, more than 6 degrees above the average. The pattern ahead suggests very hot temperatures to persist with daily highs 104 to 110 and lows 80 to 85 through next week. “There are a substantial number of scientists who have manipulated data so that they will have dollars rolling into their projects,” the Texas governor told a group of supporters at the “Politics and Eggs” Breakfast in Bedford, New Hampshire. See "Global Warming Is A Trick" Climategate claims proven untrue - Times of London Retracts its story. Also see Rupert Murdoch's News Corp. behind Climategate? And see The global cooling myth. Perry believes that the climate is still normal, unaffected by the 30 billion metric tons of carbon gas human civilization pumps in the biosphere every year, a level expected to increase to 33.8 billion metric tons annually by 2020 and grow to 42.4 billion metric tons annually by 2035. ...this summer is very similar to what is projected under a [climate changing] +2°C global mean temperature increase. We typically average 9 days per year > 100°F in Lubbock; this year we are at 43 and counting. As of August 2011, 99 percent of Texas was in drought, with a staggering 78 percent in exceptional drought. The state’s farmers and ranchers are expected to lose about $10 billion this year to the killer climate, the worst in history. "THERE IS LITTLE TO SUGGEST ANY END TO THE DROUGHT"
The U.S. Climate Prediction Center said that the La Nina weather phenomenon blamed for the crippling lack of rain over the last 10 months might immediately restart, just two months after the this La Nina cycle ends. If that happens, the drought would almost certainly extend into 2012. The lack of rain has been made worse by stretch of triple-digit temperatures that started in June. The drought and extreme heat has caused reservoirs to evaporate, crops to wither and animals and fish to die off by the tens of thousands. The culture wars will feature prominently in Texas Gov. Rick Perry’s campaign for the Republican presidential nomination. Over the past decade Gov. Perry has turned his office into a command post for "culture warriors" on the far right. The Texas Freedom Network has put together a primer on Gov. Perry’s record in the culture wars at www.tfn.org/rickperry. "so where does the notion of a Texas "job growth" miracle come from?" And, he answered, "Mainly from widespread misunderstanding of the economic effects of population growth … Texas tends, in good years and bad, to have higher job growth than the rest of America. But it needs lots of new jobs just to keep up with its rising population — and as those unemployment comparisons show, recent employment growth has fallen well short of what’s needed." 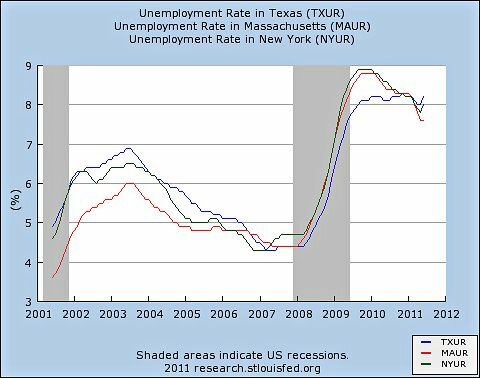 Felix Salmon: How does employment in Texas compare to employment in the rest of the country. The employment-to-population ratio in this chart is lower than the employment-to-population ratio we normally see, because it includes everyone, from infants to convicted felons. According to the figures we have for 2011, 44.7% of the total US population has a job, compared to 43.5% of the Texas population. Perry inherited a ratio of more than 47% in Texas from George W Bush, and has presided over a steady decline ever since — including every year of the Bush presidency bar 2005. HuffPo: Over the past three years, immigration politics has seen more restrictive legislation at the state level and the unprecedented enforcement of current laws by the Obama administration. Together, the laws and the stepped up enforcement have the potential to bring tens of thousands of individuals into for-profit jails. The Department of Homeland Security pays between $50 to $200 per day per person to local, county and state prisons to house apprehended aliens. Thanks to a concerted lobbying push from the corrections industry, growing numbers of undocumented immigrants could end up in private detention facilities. Over the past three years, immigration politics has seen more restrictive legislation at the state level and the unprecedented enforcement of current laws by the Obama administration. The recent animated video "Immigrants for Sale" by the activist group Cuéntame illustrates some facts behind the connection between the ongoing crackdown on illegal immigration and the for-profit corrections industry. The video follows the trail of money and political power behind this piece of the national immigration debate. By Michelle Goldberg - Of the three most plausible candidates for the Republican nomination, two are deeply associated with a theocratic strain of Christian fundamentalism known as Dominionism. If you want to understand Michele Bachmann and Rick Perry, understanding Dominionism isn’t optional. We [now] have the most theocratic Republican field [of Presidential candidates] in American history, and suddenly, the concept of Dominionism is reaching mainstream audiences. Writing about Bachmann in The New Yorker this month, Ryan Lizza spent several paragraphs explaining how the premise fit into the Minnesota congresswoman’s intellectual and theological development. A recent Texas Observer cover story on Rick Perry by Forrest Wilder examined his relationship with the New Apostolic Reformation, a Dominionist variant of Pentecostalism that coalesced about a decade ago. In many ways, Dominionism is more a political phenomenon than a theological one. [Pastors in the movement believe themselves to be modern day prophets or apostles, directly linked to God. The "New Apostles" believe they're intended to lord over it all. 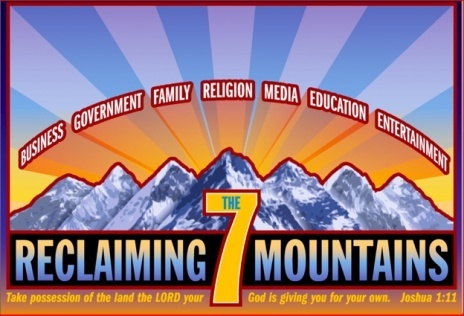 As a first step, they’re leading an 'army of God' to commandeer civilian government. Following a not some good batch of polling news for congressional Republicans, a new USA Today/Gallup poll finds that Democrats have taken the lead on the first generic congressional ballot poll of the 2012 campaign season. The poll found that Democrats now have a 51 percent to 44 percent lead over Republicans among registered voters when asked which party's candidate they would vote for if elections for Congress were being held today. The 7-percentage-point lead on the new poll isn't as strong as the Gallup polls that led up to the major Democratic swing elections in 2006 and 2008 (Gallup says Democrats averaged 11-point and 10-point leads in polls before those elections), but it was much better than most Gallup polls leading up to the 2010 Republican victory, which showed near-ties or Republican leads among registered voters. Gallup also asked registered voters how a Tea Party endorsement would affect their likelihood of voting for a congressional candidate. The effect is nearly 2-to-1 negative, with 42% saying they would be less likely to vote for such a candidate versus 23% saying they would be more likely.